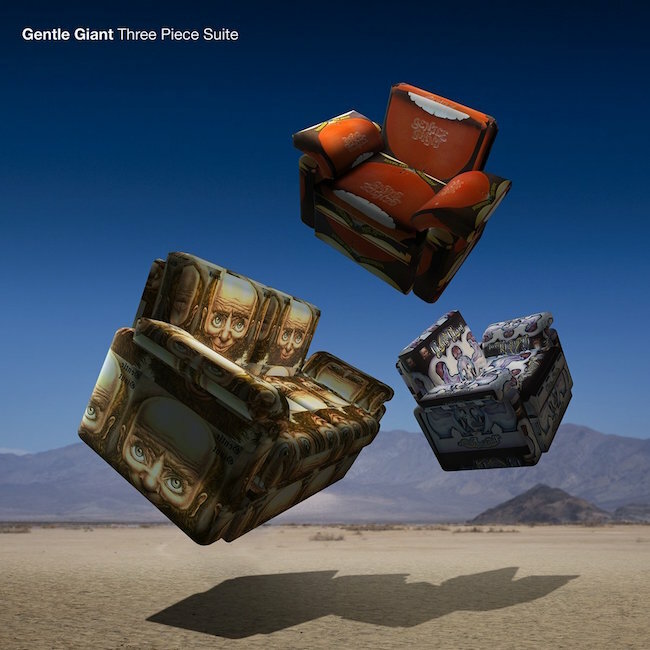 Gentle Giant “3 Piece Suite” offers 5.1 Mixes of classic tracks. In addition to his solo work and a number “side” projects, Steven Wilson has built quite a reputation in the audiophile and progressive rock fan communities for his 5.1 and stereo remixes of classic albums. His respect for, and love of the genre, has yielded what are currently recognized as definitive versions of career landmarks by Jethro Tull, King Crimson, Yes, and recently XTC. While the aforementioned surround sound experiences are the main attraction for long time collectors (who may already own several versions of these classic recordings) there is usually a bevy of additional perks that, to my taste, often eclipse the multichannel mix. Packages have included just about every permutation of the source materials, including original masters, new mixes, alternative tracks and contemporaneous live versions. XTC’s Skylarking is a treasure trove. Now, adding to this list, we have the announcement of a September 29, 2017 release date for Wilson’s work with another iconic Progressive Rock band, Gentle Giant. The albums Gentle Giant, Acquiring the Taste and Three Friends will be the focus. Joyful cheers from GG acolytes will be tempered only by the fact that available multi-track master tapes were limited to just 9 tracks across the 3 albums. Therefore only “Giant,” “Nothing At All,” “Why Not,” “Pantagruel’s Nativity,” “The House, The Street, The Room,” “Schooldays,” “Peel the Paint,” “Mr. Class And Quality,” and “Three Friends” will see SW’s 5.1 and 2.0 mixes. That said, there is plenty else to make this an exciting offering. Along with the original mixes of the three entire albums and instrumental versions of the new mix, 3PS will see the commercial debut of the a previously unreleased track “Freedom’s Child,” which was produced by Tony Visconti during his first sessions with the band. New interviews with Visconti (“…I thought music like theirs would save the world from mediocrity. I couldn’t wait to sink my teeth in it.”) and remix artist Wilson (“There was never a question of trying to outdo the original mixes, but offer different perspectives on them.”) were conducted by liner note author Anil Prasad and speak to the tenure of the original recording sessions and the techniques used to produce the newly mixed tracks, respectively. Two-disc digipak containing 96/24 animated Blu-ray plus CD. Two-disc gatefold LP in180g high-end vinyl. Digital download of the two disc Blu-Ray plus CD version. Just Hookah pipe dreaming’ on my part but for future multi-channel revamps I’d love to see Wilson let loose on the so-called “Canterbury Scene,” including Soft Machine, Caravan and the oeuvre of Egg. In the meantime we’ll have new material to dig into from this busiest man in music very soon. To The Bone, SW’s fifth solo project, will be available on August 18, 2017. The four pre-released tracks and videos suggest a decidedly less progressive rock direction. Some kicks and complaints from Prog diehards are not surprising but appear to be mellowing after repeated listens. Me? I’m still enjoying the newest Blackfield album and I’m happy to follow the winding yellow brick road paved by Mr. Wilson as I did that of his wizardly musical godfather, Todd Rundgren. 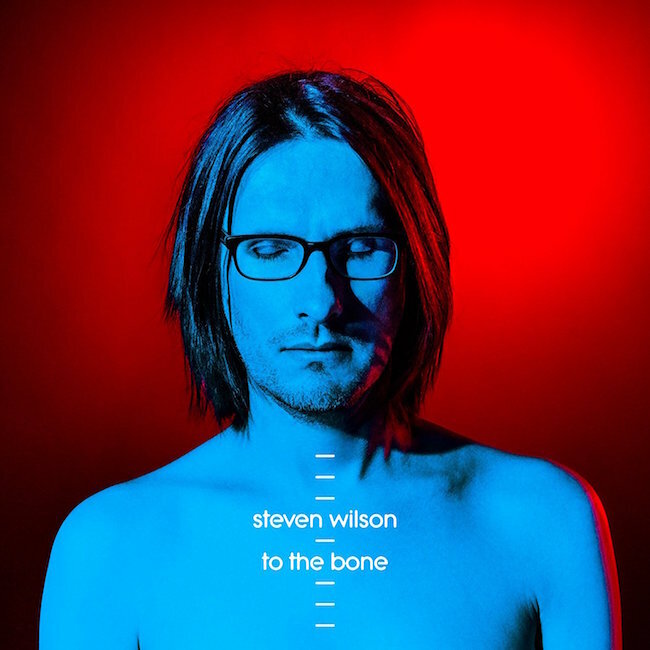 “To The Bone,” is Steven Wilson’s fifth solo album.